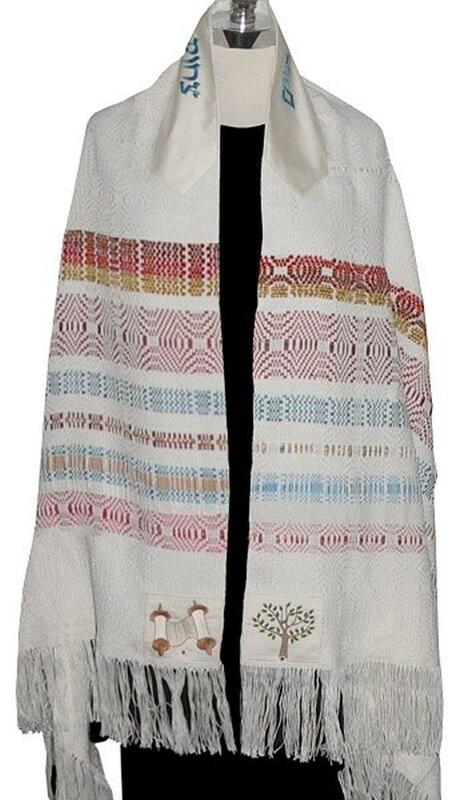 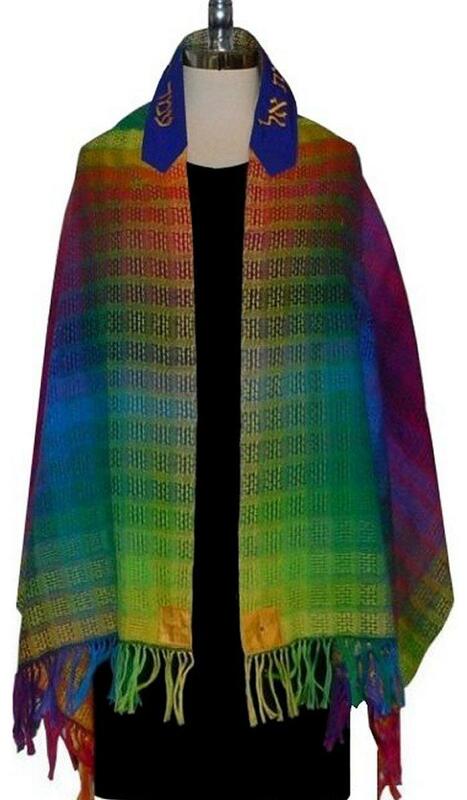 I work with many weavers around the country who make tallitot for family members and friends. 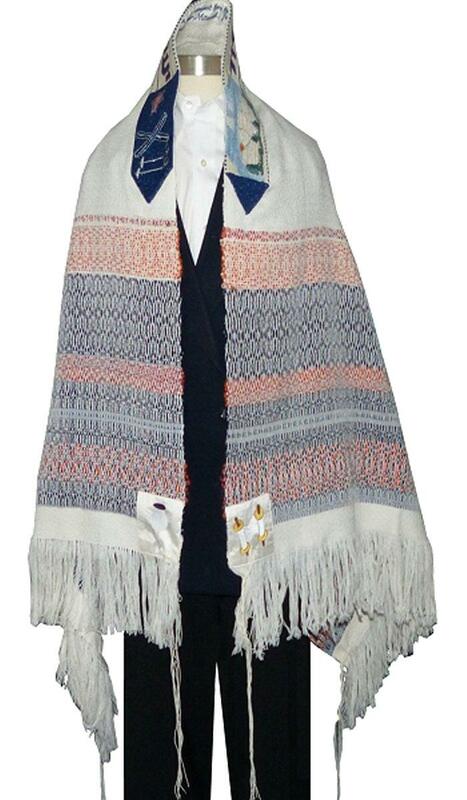 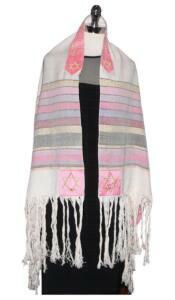 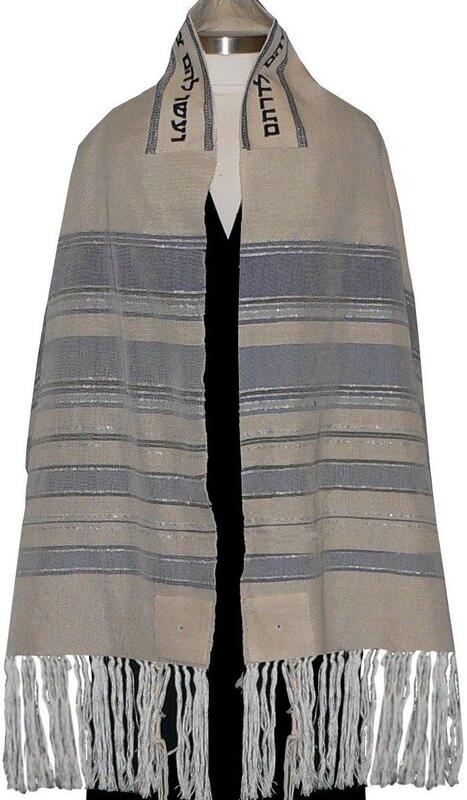 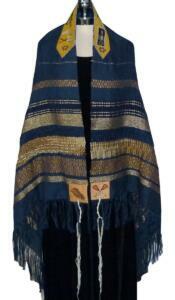 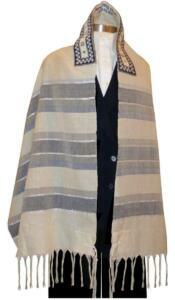 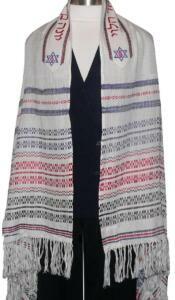 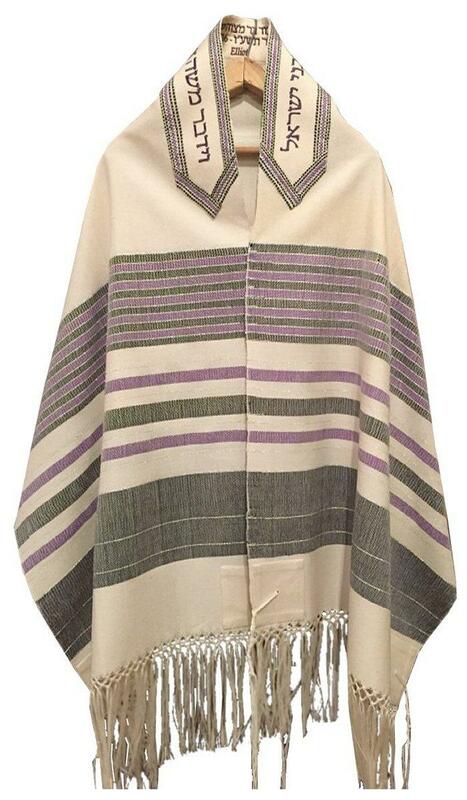 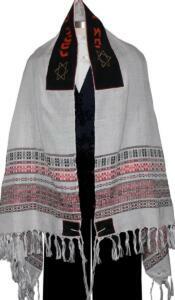 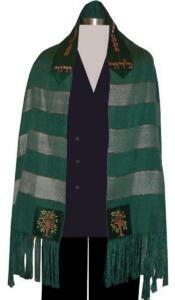 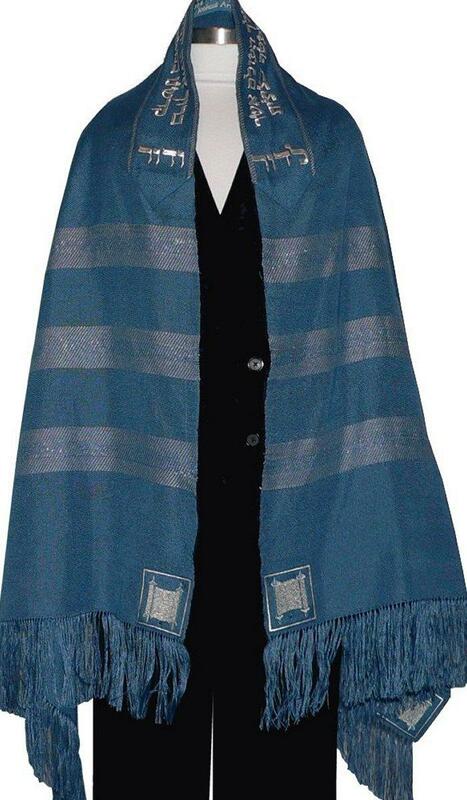 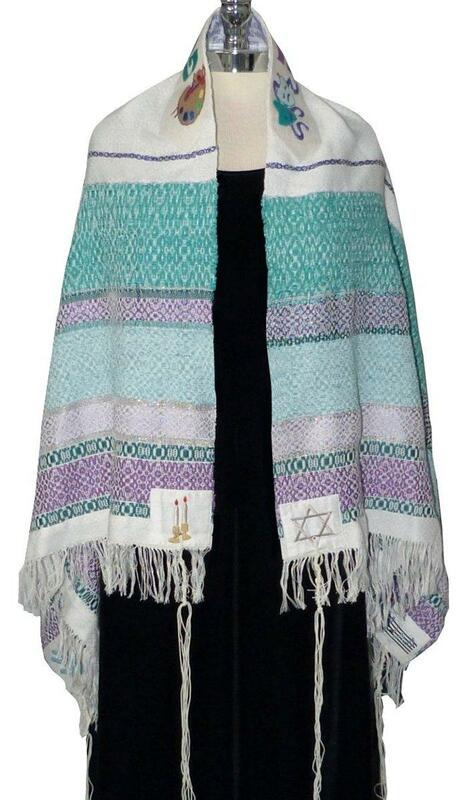 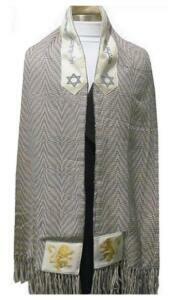 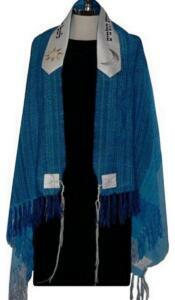 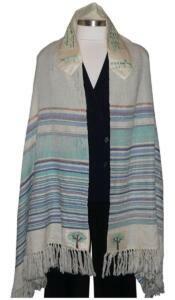 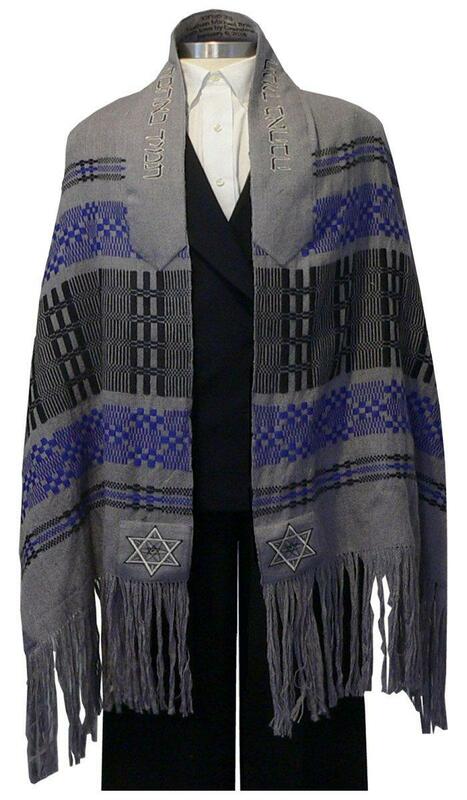 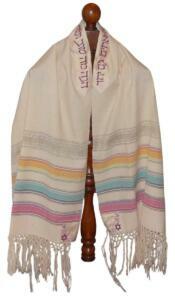 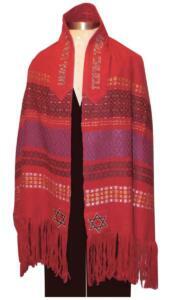 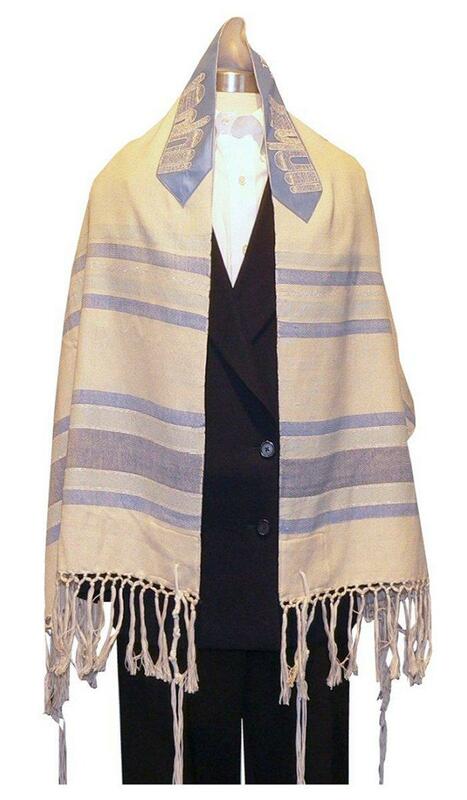 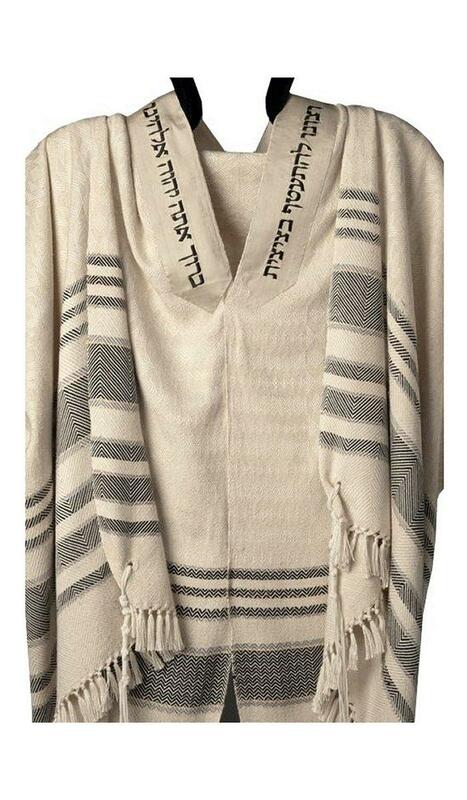 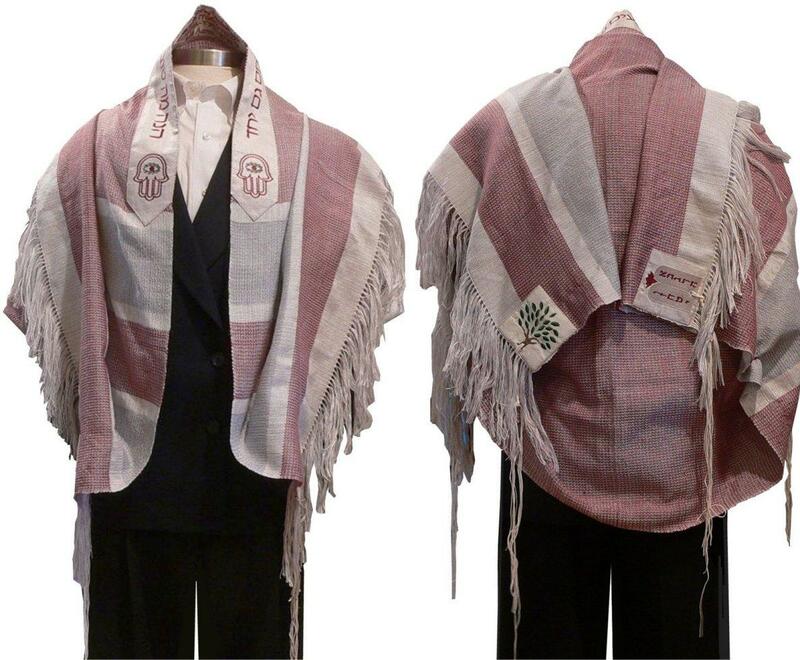 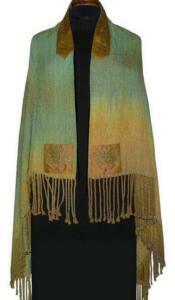 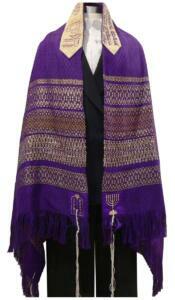 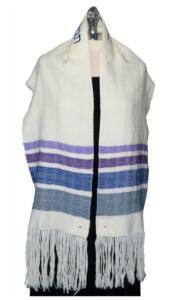 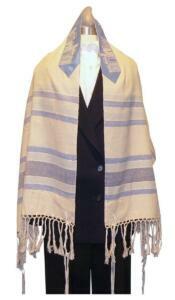 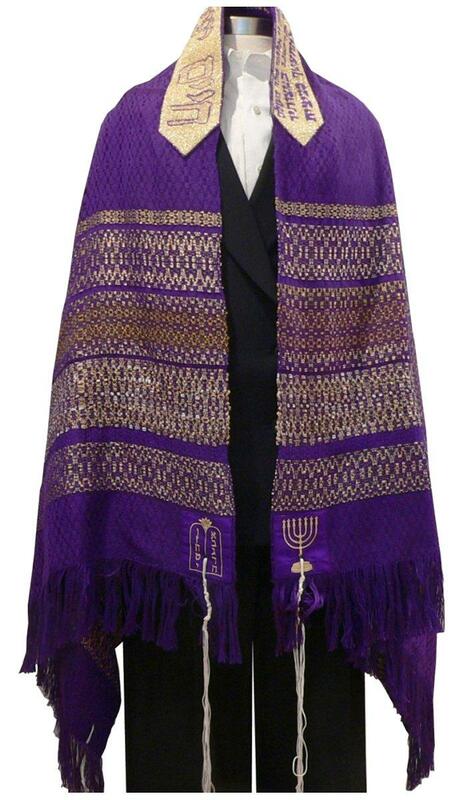 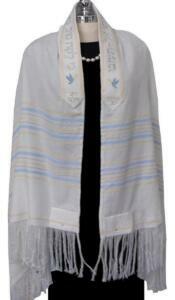 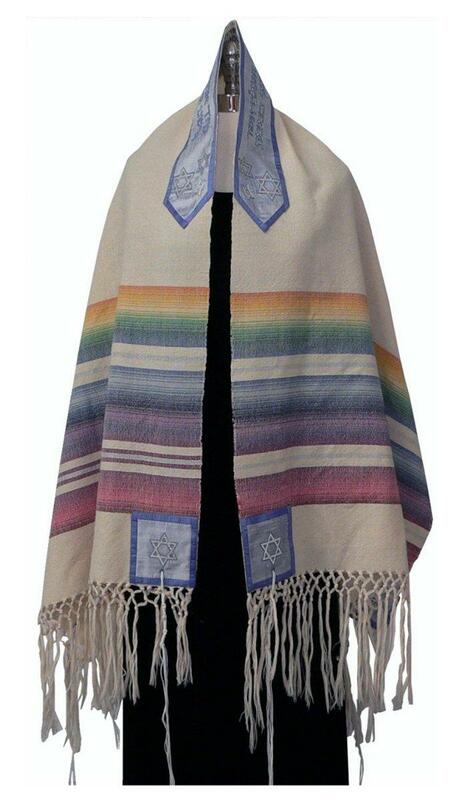 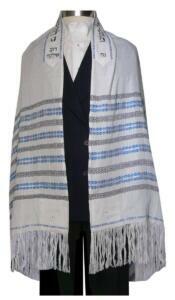 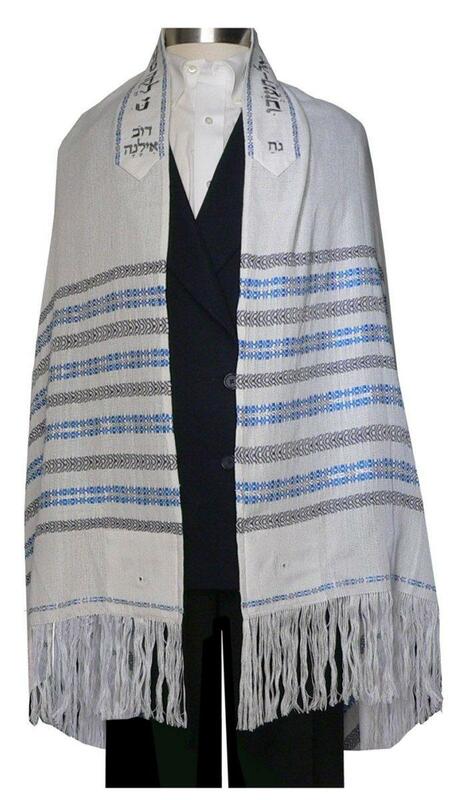 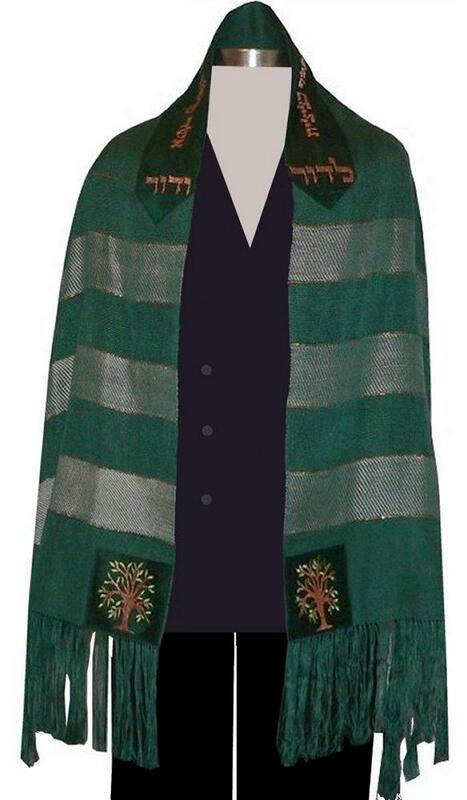 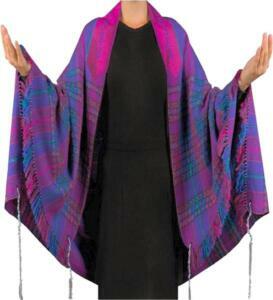 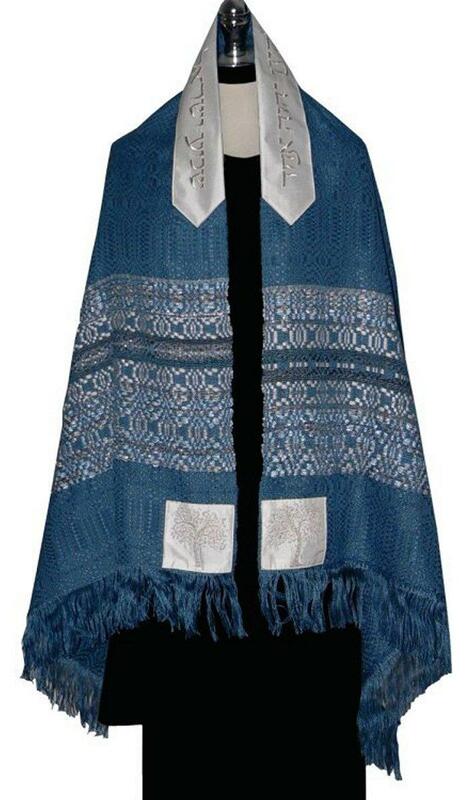 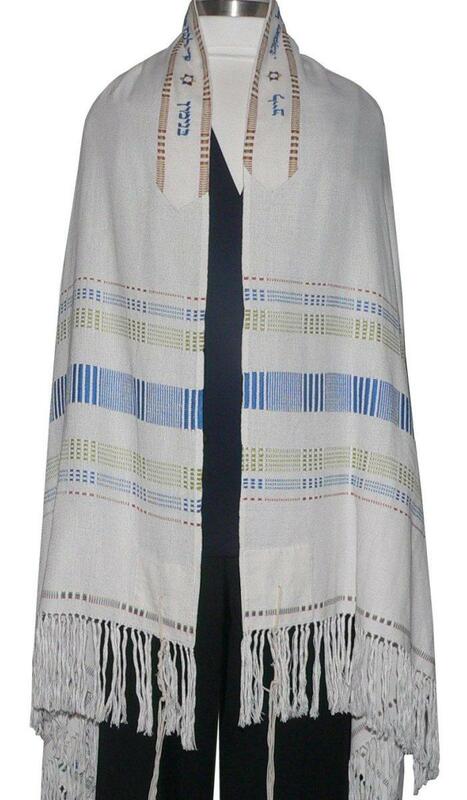 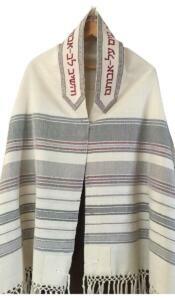 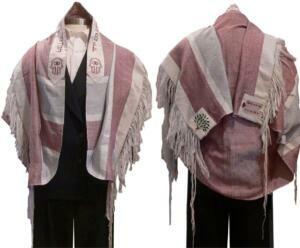 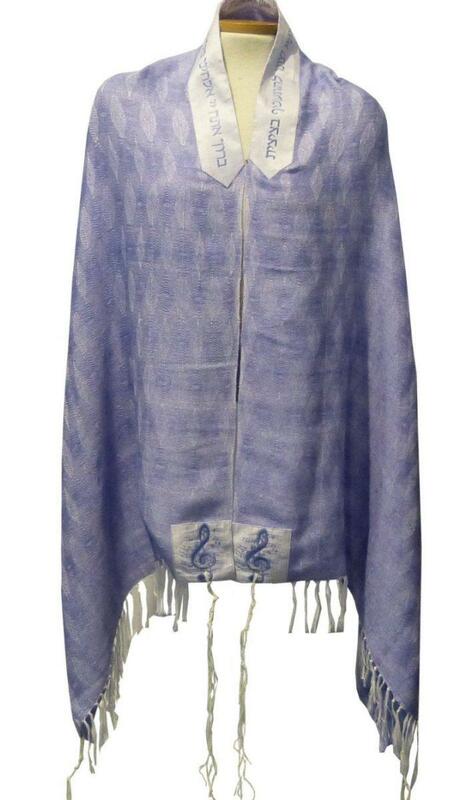 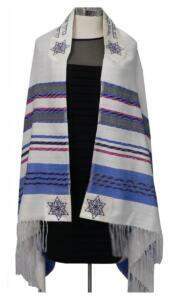 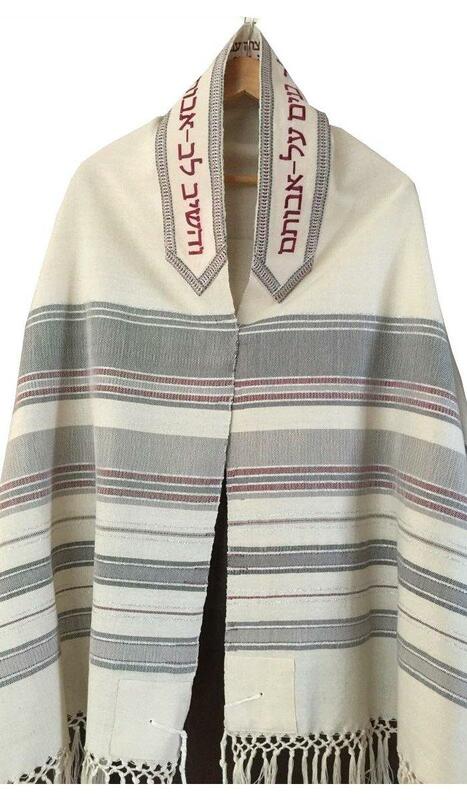 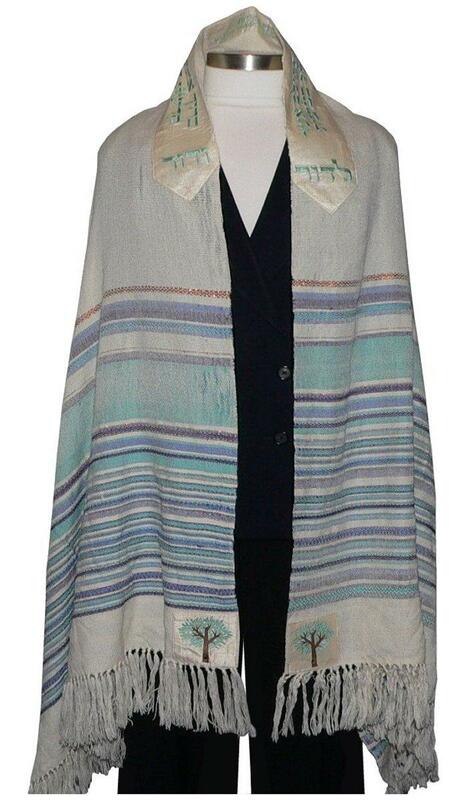 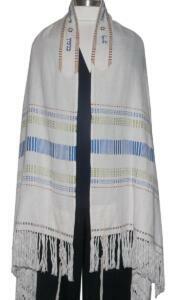 To make that tallit special, I am often asked to create a custom atarah (neckband) and/or decorative corners. 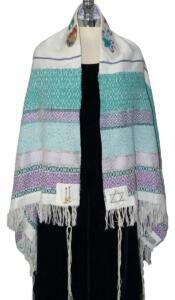 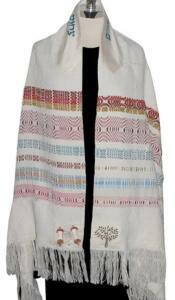 The tallitot below were sent to me to have embroidered items added. 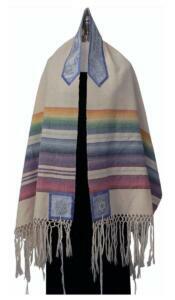 I also know a few weavers who will take on commissioned orders and make something special just for you. I’m happy to put you in touch with one of them. The tallitot below were custom woven for two of my clients. 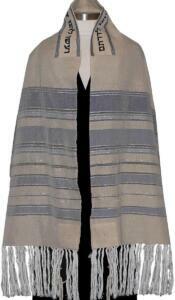 Then they were sent to me for addition of the atarah, corners and tying of the tzitzit.